Samsung’s next major release looks set to adopt a tall 19.5:9 display complete with a small hole that will house the front-facing camera. This leaves essentially no room for the other necessary sensors but, from the looks of a new patent, Samsung may have already found a solution. Filed back in April of this year and granted quite recently, the company’s latest patent envisions a device that includes a number of tiny holes along the top portion of the metal frame. These would then be used to accommodate the various other elements that are necessary such as the proximity sensor, the in-ear speaker, the 3D facial recognition unit and more. As not every sensor is the same size, however, some holes can be made bigger than others. Also, in the hope of keeping things looking sleek, the holes would be arranged by size. In this particular patent, the device envisioned also uses a notch. 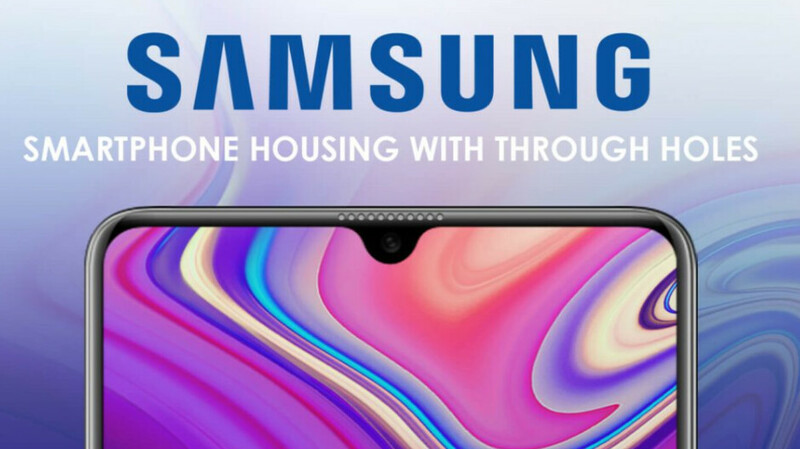 But considering the company has continued to mock the feature and the fact that its next major release may use display holes, it’s extremely unlikely Samsung will introduce the feature on its smartphones. Considering the Samsung Galaxy S10 is expected to adopt a tall 19.5:9 display too, there will presumably be very little room left for a bezel above and below the display. If this is indeed the case, it certainly wouldn’t be surprising to see the South Korean giant make use of this patent. S10 will destroy all toys. You are living in the past, TouchWiz died a long long time ago. Samsung is a copycat company? They all copy and adopt various trends. But at least Samsung TRY to innovate, especially with their designs, unlike another company I won't mention. Someone doesn’t know about touchwiz and comments..
Samsung is in a bad situation that chinese iphone copycat are good in terms of design and specs. Maybe English is a second language. Samsung shouldn’t do a notch. Too much marketing against it. Lol hahaha would u look at that!!!! A notch!!!! And a chin... I guess they cant figure out how to get rid of the chin... how long have they been doing oled screens again??? They do know how. Ever thought that maybe they dont want too? Just like they dont wanna drop the Jack. They dont wanna use a nitxh and that is why they are exploring other options. Samsung knows they aren't Apple. Samsung cantvswll stupid productsbto their customers. 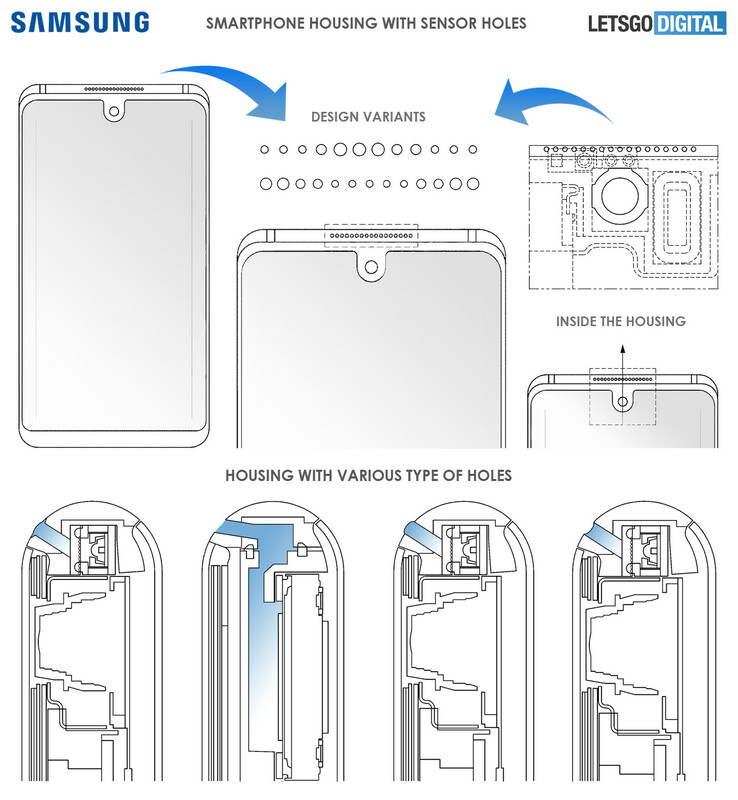 See how the S6 suffered sells when Samsung removed the sdcard and no waterproofing vs the S5. See they fixed it right away with the S7. They dont have to do what everyone else us doing. Apple didn't. Why can't Samsung also? Then you will be the first to criticize them for using the same design over and over, when that's all Apple does. You can't have it both ways. Pick one!!! Anybody that is now wanting a notch and a chin on your phone because Samsung might do it now is really embarrassing. Why would you want a chin. Come on we could have been past this hurdle two years ago. Are you idiot? Of course they know how to get rid of the chin, they make the screen for iPhone X, XS, and XS Plus. Your an idiot? Stop the crap name calling. Really? You mean by you? Someone can repair them. For what Applw charts doe repairs, you can just buy a new one. Unlike what others charge. Why would I pay $300-600 to fix a phonez when I can just pay $100-200 and get a fully refurbished one? This article is so pointless. Samsung is not going this route. Next. what about sensors underneath the screen, I am sure they will adopt that technology rather than making hole and putting camera, also I don't think they will adopt notch on their phones sure their upcoming phones gonna look like essential phone or like the water drop phones from the Chinese manufacturers. Will this not compromise the structural strength of the frame? Maybe I am old fashioned but I don't mind some space being used at the top and the bottom of my mobile screen. Honestly, don't understand this obsession for full-screen phones.